For some special application like CSB650# bushes for injection moulding machines, the shrinking fitting method could be take into consideration. This is the preferred method for inserting a bush in its housing providing an optimum interference fit wihtout risking bearing damage during press fitting. Frozen carbon dioxide (Co2) should be packed around the bearing for up to 2 hours, depending on the cross section of bush to be cooled. Once removed from the Co2, the bush should be offered to its housing without delay. It should fit without force, gravity will usually be adequate for a vertical installation. 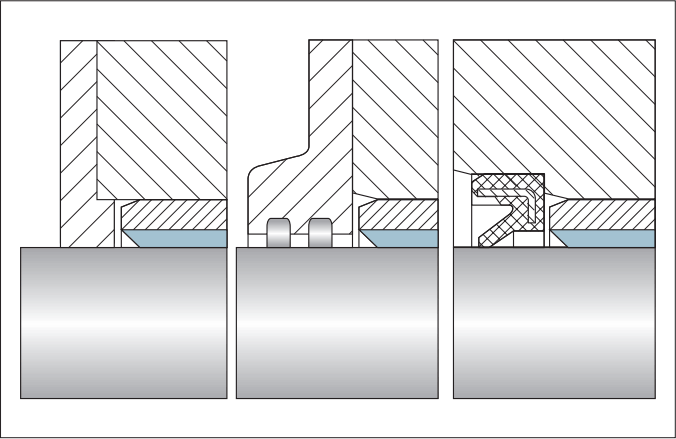 At the run-in operation period, contact surfaces of shaft and bearings are smooth enough, however, microscopic irregularities are inevitable to be developed after continuously running for a certain period. A deviation from true center alignment may also exist. Thus, the partial initial contact between sliding surfaces could happen. 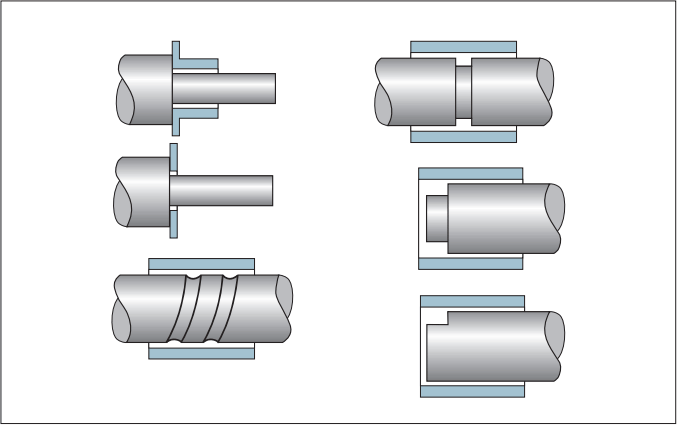 It is not recommended an immediately start of a regular loaded operation, it may result in damaging the bearing surface, leading to a shorter service life. On the other hand, it is suggested a gradually break-in operations to sweep out the microscopic irregularities, and allow the entire pressure support area slowly get into contact without causing any damages to the bearing and shaft. CSB slide bearings are supplied with bulk pack into cartons or in plastic bags before enter the carton. The bearings should be stored in clean, rust proof place. The thin wall bearings like EPB should be protected from deformation during storage. Do not store in locations exposed to high temperatures, high humidity, or the direct rays of the sun. Heavy load piles are prohibited during the storage. It is recommended to install the thrust washers and sliding plates with the hollow indented housings. 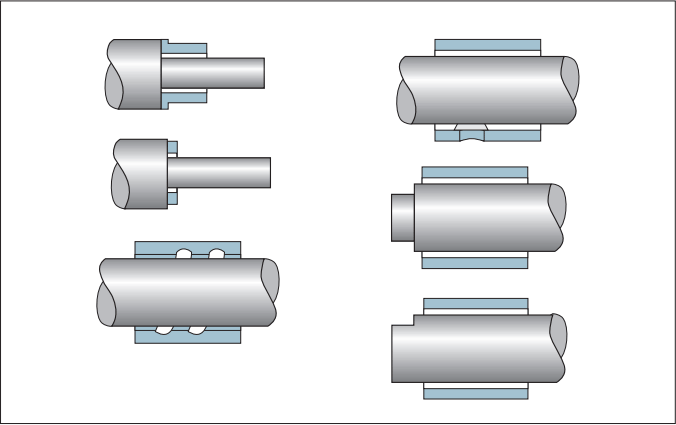 To avoid the moving of such parts, a Dowel pins is recommended to be installed. Laser welding, adhesive fixing or soft soldering method could be the optional methods for the fixing of the washers or plate if the Dowel pin will not be considered. Please pay attention to control the temperature should not be exceeded to the limited temperature that the parts could bear when using laser welding or other higher temperature fixing methods. The sliding layer must always be kept free from adhesives. 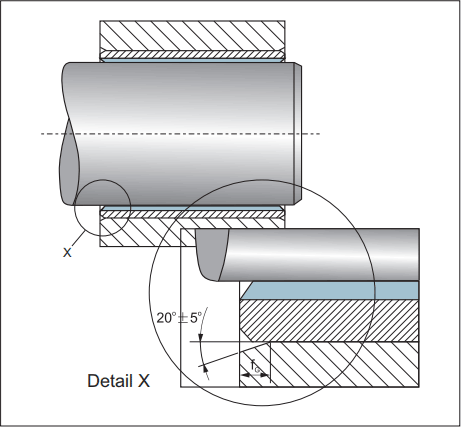 The radius at the transition from the radial to the axial component must be taken into consideration for flange bushes. A sufficiently large chamfer must be provided on the housing to prevent the flanged bushes fouling in the area of the radius. 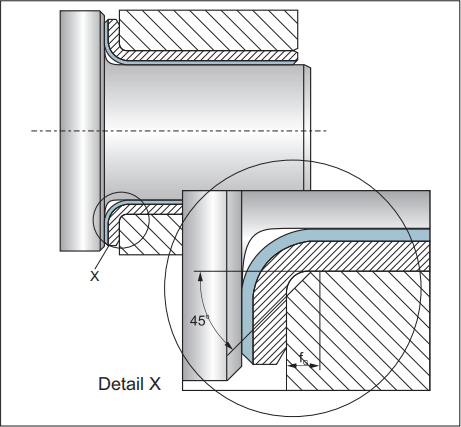 Sufficient support must be provided for the flange in applications with axial loading. Bearing performance is influenced by the material, hardness, surface roughness and surface treatment of the mating shaft. If used in a corrosive environment such as in the seawater, or in the chemical liquid, double or triple chrome plating should be consideration. If increased levels of contamination occur or the bearing is used in an aggressive environment, the bearing section should be protected from dust and containment. The normal solution is to re-design the surrounding structure so that the contamination cannot reach the bearing section. If the contamination is critical, a collar of grease or a shaft seal is recommended.